Dull, dry and lusterless skin is the result of regular exposure to dirt, dust and pollution in environment which accumulate as toxins in deep pores. While washing and cleansing help get rid of superficial build-up on face they miss out dead skin cells, blackheads and whiteheads. Face scrubs are must to clear dead cells and remove toxins from deep within pores for radiant, clear and flawless skin. 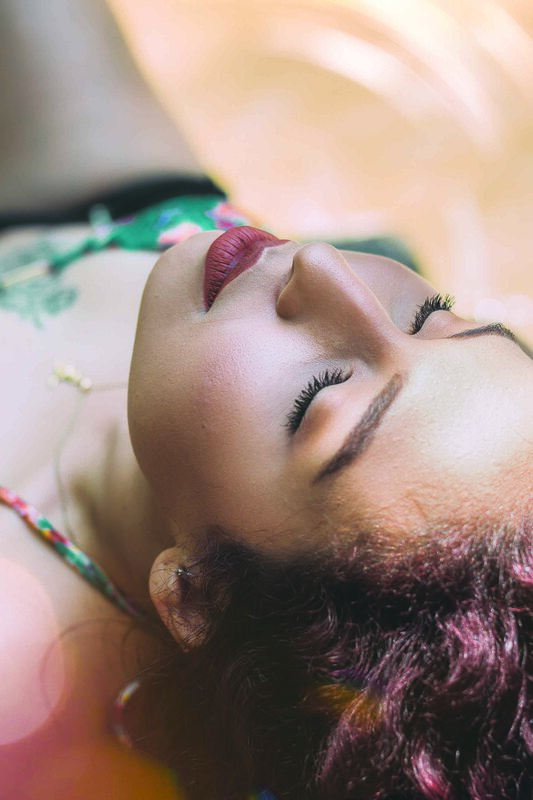 Beauty expert Shahnaz Husain will tell you how to bring back the glow. Packed with the goodness of natural ingredients and essential oils, face scrubs can provide your skin with deep exfoliation to give you smooth and clear skin. Scrubs not only improve skin texture but also stimulate circulation and encourage toxins to escape through the unclogged pores. When skin is clean and exfoliated, it can absorb the beneficial ingredients in treatment and moisturising products more effectively. Scrubs play an important role by keeping the pores free of clogged oil thus preventing blackheads and pimples. Some scrub ingredients, like lemon juice, lemon peels, curd, milk, turmeric, ground almonds, help to brighten the skin and lighten skin colour over a period of time. Natural cooling ingredients can be used to make scrubs, like multani mitti, rose water, sandalwood, fruits, cucumber, aloe vera, while natural antiseptics help to prevent rashes. These are neem, tulsi, pudina. Other home ingredients for scrubs are ground almonds, oats, rice flour, wheat bran (choker), cucumber or pumpkin seeds, dried orange and lemon peels and eggs. For dry skin: Use a scrub only once a week. If the skin is sensitive with reddish patches or rash, avoid scrubs. For normal to oily skin, scrubs may be used more often. For oily skin with enlarged pores: Mix oatmeal with egg white and apply on the areas. When it dries, dampen with water and rub gently with circular movements, washing off with water. Both egg white and oatmeal also help to reduce oiliness. Mix three parts of rice powder with two parts of gram flour. Add curd and a little turmeric to mix into a paste. Apply on exposed areas of the body. Leave on for 10 minutes. Rub gently on the skin and wash off with water. Take two parts of coarsely ground almonds and one part yogurt. Add a little turmeric. Mix together and apply on the body. After five minutes, rub gently and then wash off with water. Take sesame seeds (til), dried mint (pudina) leaves and honey. Crush the sesame seeds coarsely and powder the dried mint leaves. Mix them with a little honey and apply on the skin. Leave on for five minutes. Rub gently and wash off with water. Sesame seeds have sun protective properties and also soothe sun-damaged skin. Or, mix ground almonds with yogurt. Apply on the face. Leave on for 15 minutes. Then moisten with water and rub gently. Wash off with plenty of water. Dried and powdered lemon and orange peels, along with dried and powdered mint (pudina) leaves, can be added to facial scrubs to help add a glow. In fact, mint also helps to keep the skin clear and prevents eruptions. Apply the mixture on the face and leave on for a few minutes. Then rub gently with small circular movements, washing off with water. For all skin types, make a powder of green tea leaves and mix it with curd and aloe vera gel in equal quantities. Apply on face leave on for a few minutes. Rub gently and wash off with water. Take one cup of olive oil and mix with Epsom salt or sugar. Add a little grated lemon rind. Apply on the face and rub gently. Wash off. The remaining scrub may be kept in the fridge in an airtight jar.